A future deal to introduce a "metro mayor" will only be accepted if it does not disrupt private and public sector partnership arrangements which are already in place in Sheffield City Region. 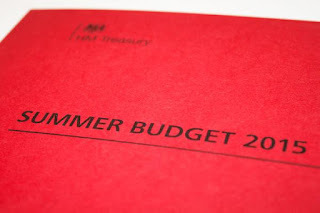 In this week's Budget, Chancellor George Osbourne highlighted that an agreement has been reached with the leaders of the ten councils of Greater Manchester to devolve further powers to the city and that talks are underway with the Sheffield city region. In May, the combined authority in the Sheffield city region held "informal discussions" regarding the possibility of an elected metro mayor. It followed comments from the Chancellor who expressed that he wasn't imposing a mayor on anyone but added that if the regions wanted to be part of the "new revolution in city government" they would need to have one. If an agreement can be reached in line with the Spending Review in the Autumn, the deal will include an elected mayor who will work with local leaders to oversee new powers devolved from Ministers. The potential deal which is being discussed would see Sheffield city region granted significant additional powers and the opportunity to take control of its own affairs to support economic growth. The new model of civic leadership and local power has seen Manchester set to take on funding and power over transport, skills and housebuilding. Manchester is also set to receive 100% of growth in business rates and it was later signed over a £6 billion NHS budget, taking control of health, social care and GP spending in the region. Unlike the London Assembly and its mayor, Manchester has established a combined authority, just as Sheffield has. The Sheffield Mayoral referendum in 2012 returned a no vote and the devolution deals done between the Sheffield and the government have been done without agreeing to an elected mayor for the whole city region. The Sheffield City Region (SCR) Local Enterprise Partnership (LEP) and Sheffield City Region Combined Authority (SCRA) has recently formalised its structure with five new executive boards. Cllr. Sir Stephen Houghton CBE, chair of the Sheffield City Region Combined Authority, said: "Local leaders in Sheffield City Region have started the conversation with Government on a devolution deal and the possibility for a City Region metro mayor. The Sheffield City Region is central to the success of the "Northern Powerhouse", at the head of the pack as one of only three areas with a Devolution Deal, alongside Leeds and Manchester. "We support Government plans to devolve further powers and funding to City Regions because local funding decisions are more effectively made by local Council and business leaders who better understand what our local economy needs to be able to grow. We want to see the economy rebalanced and our productivity rise to strengthen the Northern Powerhouse. However, a deal is not inevitable and any deal for significant changes in governance in Sheffield City Region will only be made if a significant devolution deal is on offer." James Newman, chairman of the Sheffield City Region Local Enterprise Partnership (LEP), added: "For continued economic and job growth in our city region we must build and strengthen our existing businesses and attract new businesses to invest. By negotiating a possible deal with Government for more devolution of powers and access to funding streams, the City Region will attract more inward investment, provide more certainty to local economic policy making and local leaders will be better able to plan for the long term. "Sheffield city region has a heritage as an industrial powerhouse in its own right and any devolution deal will enable it to play a leading part in both the Northern Powerhouse and a resurgence of manufacturing in the UK. "This further devolution conversation with Government is a direct result of the success of the City Region in delivering previous deals and the strong public and private sector partnership that has been created and is now being recognised by Government as leading edge."